This is my youngest daughter Emmee June. She was 1 year old here. 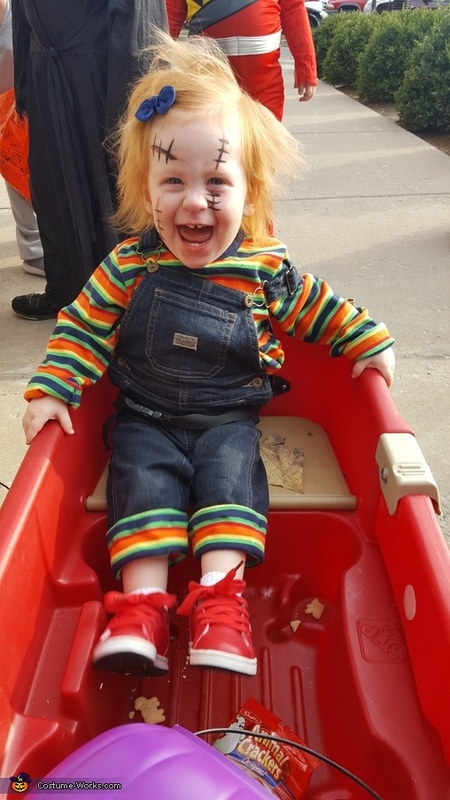 We dressed her has Chucky for Halloween 2016 because her hair is so wild and looks like his from the movie. Lol. She got so many compliments and she loved the attention! !